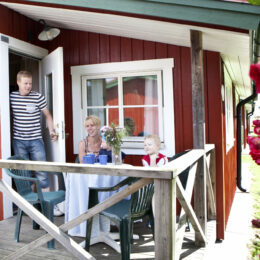 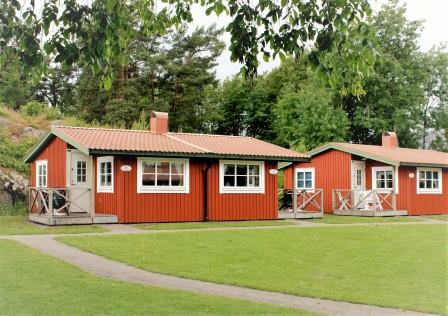 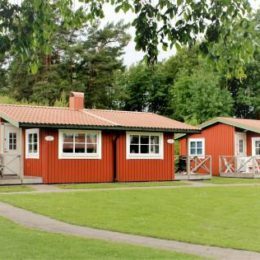 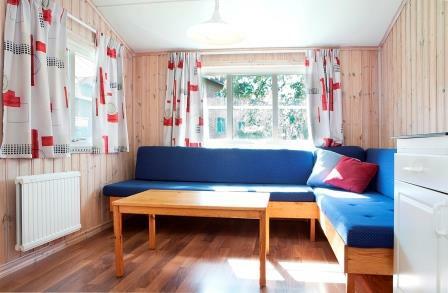 Our traditional swedish red cottages are situated in a nice green area with lots of open spaces. 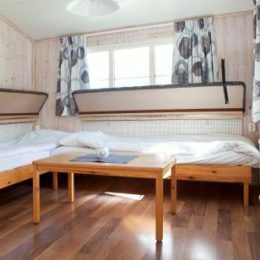 In every cottage you´ll find five beds. 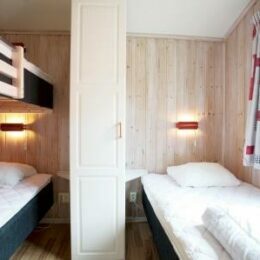 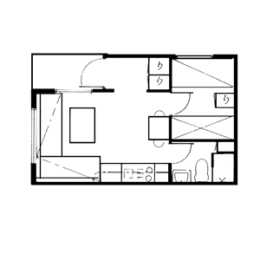 There are three beds in the bedroom, bathroom with shower and WC, small kitchen, cable TV and wireless Internet. 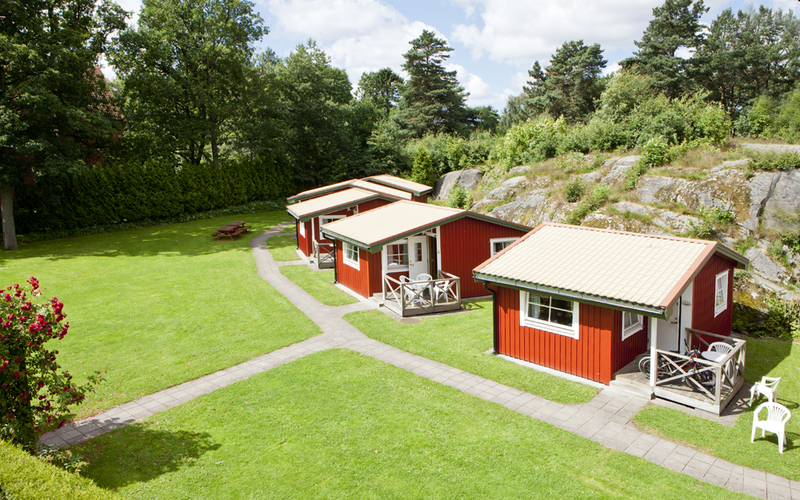 Outside you’ll find the free parking. 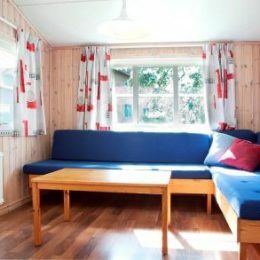 The cottages also have verandas where you can sit during the summer to enjoy your meals, have a barbeque or just relax and see the sunset. 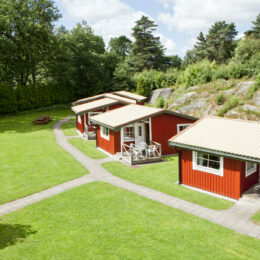 Grills are available for you to use. The cottage has cleaning equipment, toilet paper, detergent, washing-up brush and tea towel so you don’t have to bring these items. 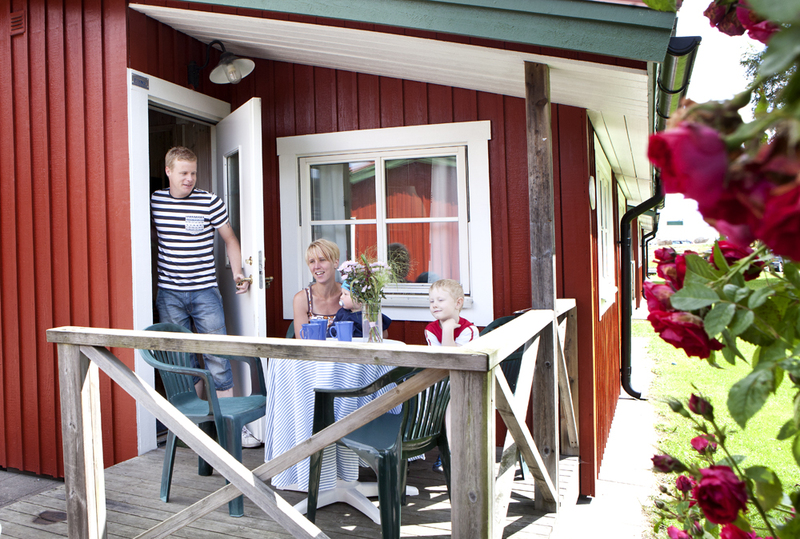 Every day a delicious breakfast buffet is served between 7:30am–10am. 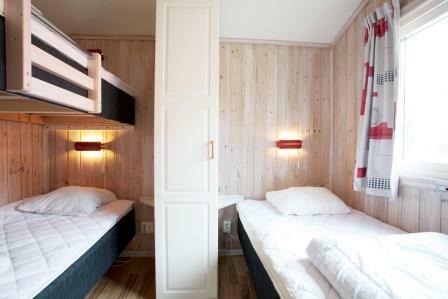 Price: 70 SEK. 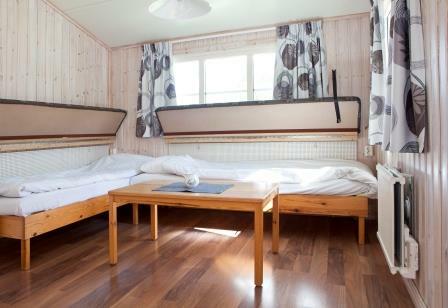 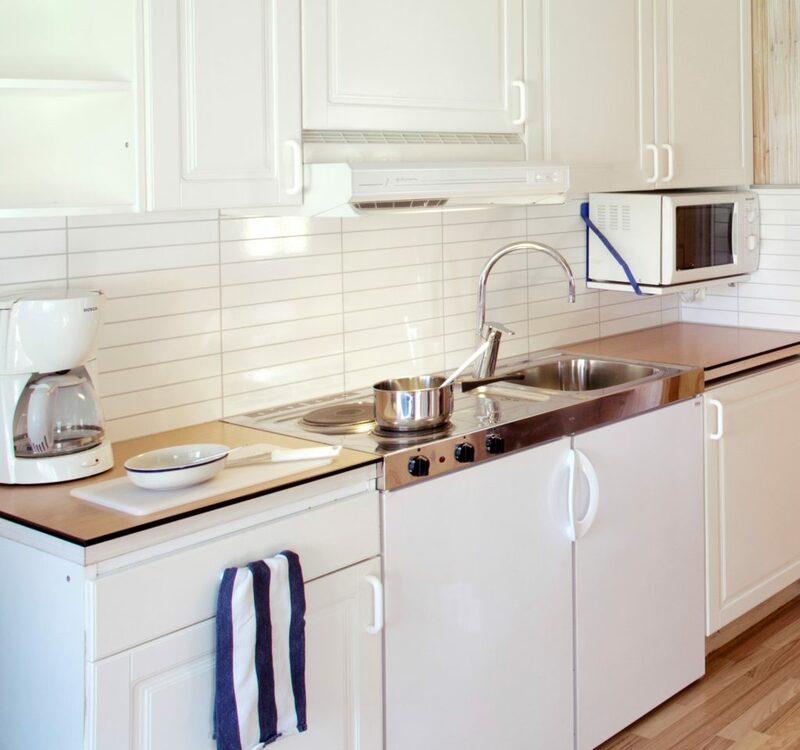 If you need linen and towels this can be rented for 70 SEK (linen) and 20 SEK (towel).